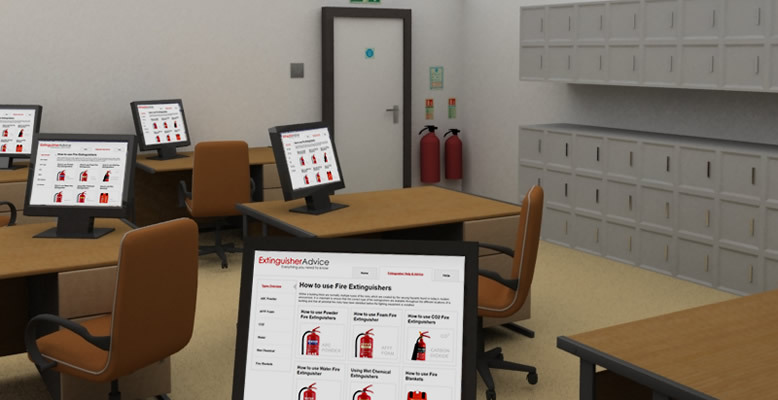 For the majority of modern offices the biggest fire risks are solid combustibles in the form of furniture and waste paper bins and electrical in the form of computers, monitors, stereos and kettles. Most offices will have general fire risks from things such as desks, chairs and waste paper bins but will also contain electrical equipment. Class A - Suitable for solid combustible materials such as wood and textiles, these materials are often found in offices in the form of desks, chairs, carpets, curtains and notice boards. 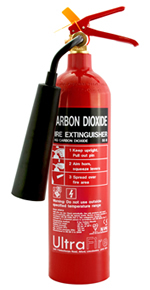 The special additive makes the extinguisher safe to use around live electrical equipment. 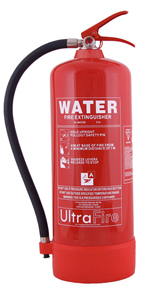 Water with additive fire extinguishers only have an A rating and are not suitable for any other type of fire. In Modern offices the biggest fire risk is created by electrical equipment such as computers, printers, stereos and kettles. Class B - Suitable for flammable liquids such as petrol and oil, these materials are often found in offices in the form of furniture polish and cleaning materials which are stored in cupboards and drawers. Electrical - Suitable for use on electrical fires such as computers, printers, stereos and electrical heaters all of which are often found in today's busy modern office environment. CO2 does not conduct electricity and is a clean extinguisher agent which leaves behind no harmful residue. CO2 is an asphyxiant if used in confined spaces and cannot be used on solid fuel fires such as wood, paper or textile. Most offices will have general fire risks from things such as furniture, waste paper bins, shelving and office consumables and perhaps some flammable liquids. Class A - Suitable for solid combustible materials such as wood and textiles, these materials are often found in offices in the form of doors, notice boards, furniture and carpets. Class B - Suitable for flammable liquids such as petrol and oil, these materials are often found in offices in the form of furniture polish and cleaning materials which are left laying around. 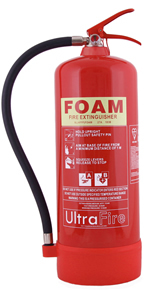 Foam fire extinguishers have excellent penetration properties and quickly create a cooling blanket over burning fuels. Foam has very high ratings and is probably the best and most accepted fire fighter in an office environment. Foam extinguishers can leave behind a soapy residue after use. Foam is a natural condutor of electricty, if the extinguisher has not passed the electrical conductivity test they shouldnt be used on electrical fires. Most offices will have general fire risks from things such as carpets, wooden door and furniture. 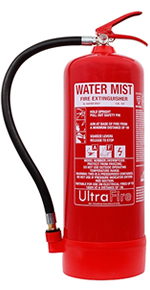 Water mist fire extinguishers are suitable for use on class A, B, C, F and Electrical risks and are ideal for use in corridors as multi-purpose extinguishers. The water mist effectively suffocates burning materials, cooling them and leaving very little residue behind. The water mist turns into steam and evaporates upon contact with the fire. Although the water mist extinguishers cover most types of fire the fire ratings for each class of fire are lower than their traditional counterparts (water, foam, powder and CO2). Fire Extinguishers Advice and the content within the guide was created by Safelincs on behalf of the Ascension Islands Government and is used with Safelincs' permission.